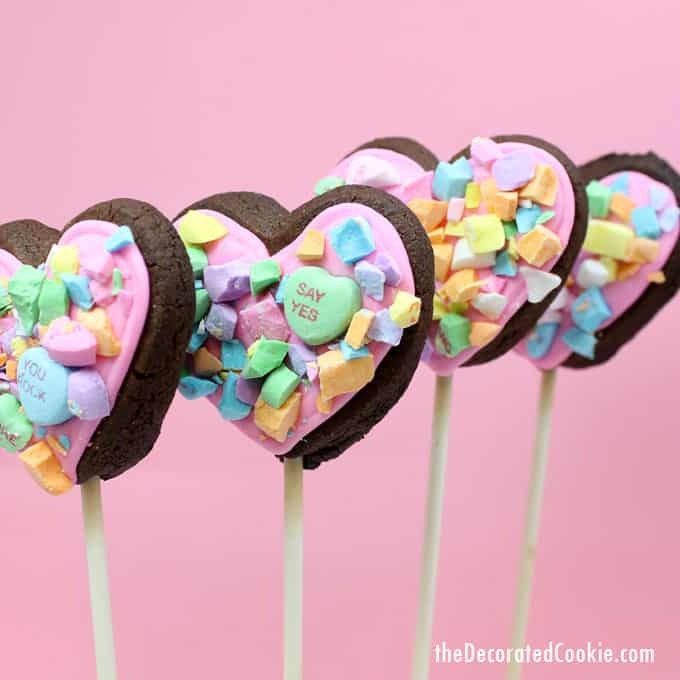 How to make crushed conversation heart cookies on a stick for Valentine's Day. 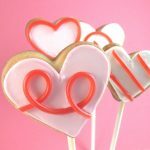 How to make crushed conversation heart cookies on a stick for Valentine’s Day. 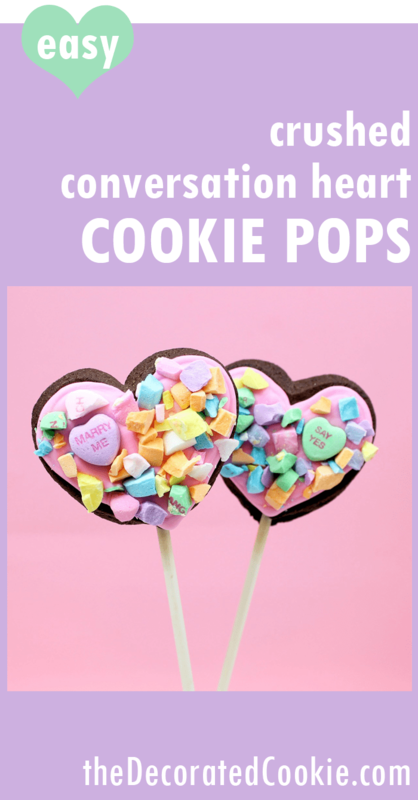 I realize these crushed conversation heart cookies on a stick merely emphasize my penchant for smashing hearts, and it continues the conversation heart overload I’ve been experiencing this Valentine’s Day. But the colors in a box of conversation hearts are just so pretty, don’t you agree? And look, I kept one heart whole on each cookie, for sentimental reasons. 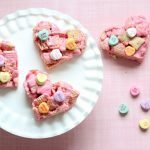 I’ve been a fan of the TomKat Studio for awhile now, so I was happy to join their 14 Days of Sweet Valentine’s Day Ideas again this year. 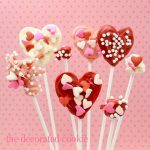 I made heart pops last year, too. 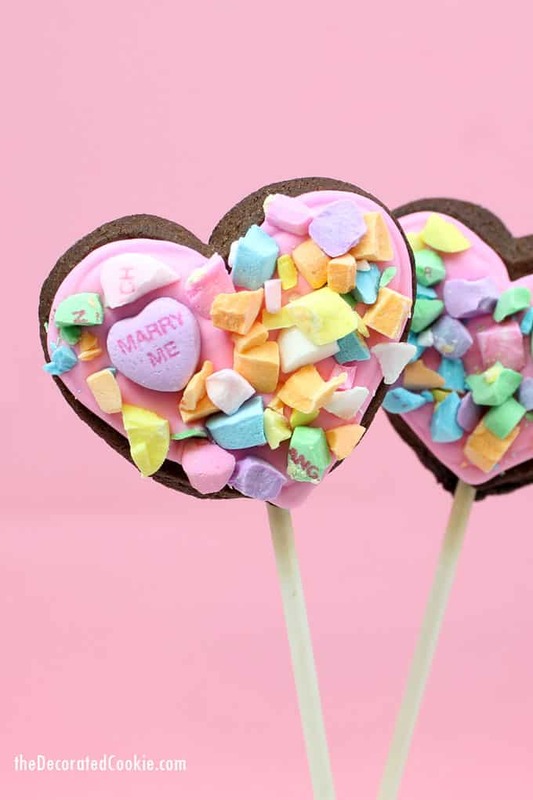 Sparkly heart pops with a tiny stained glass window. This year I smashed up some conversation hearts. But the bonus of such smashing? These are super easy to decorate. PS. 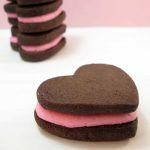 I’m making these–today! In two hours!–LIVE on TV at News 8 in Washington DC. *For food coloring, I use Americolor Soft Gel Paste (Electric Pink), available in specialty cake decorating stores or online. Find the cookie sticks, cookie cutter, decorating bag, coupler and tip in the craft store. 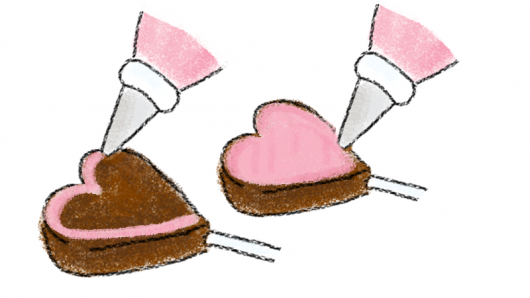 Because the candy makes these cookies top-heavy, choose a smaller heart cutter (about 2-inches). For chocolate cookie dough and royal icing recipe, click here. 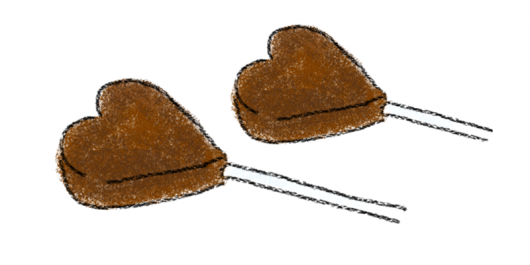 Roll out chilled cookie dough 3/8-inch thick and cut out your hearts. Insert a cookie stick in the base of the cookie, about halfway into the heart. Place on a baking tray lined with parchment paper and bake according to the recipe. Let cool completely. Prepare royal icing according to the recipe. Tint any color you like. 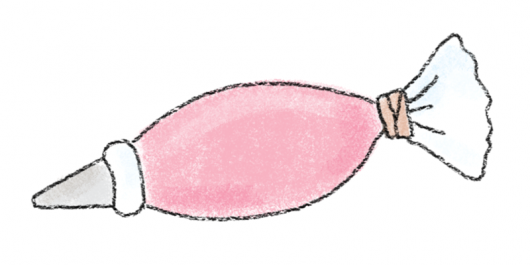 Prepare a decorating bag with coupler and size “4” decorating tip, fill with the icing, and close tightly with a rubberband. 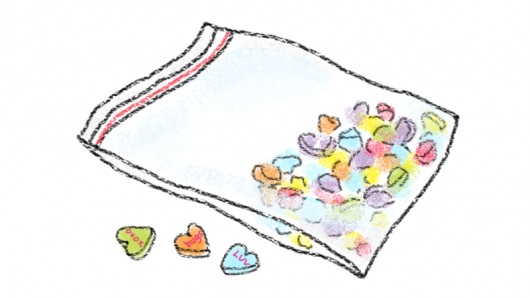 Place a handful of conversation hearts in a Ziploc bag. Place on the counter over a dishtowel or cutting board and crush the hearts with the hammer or mallet. 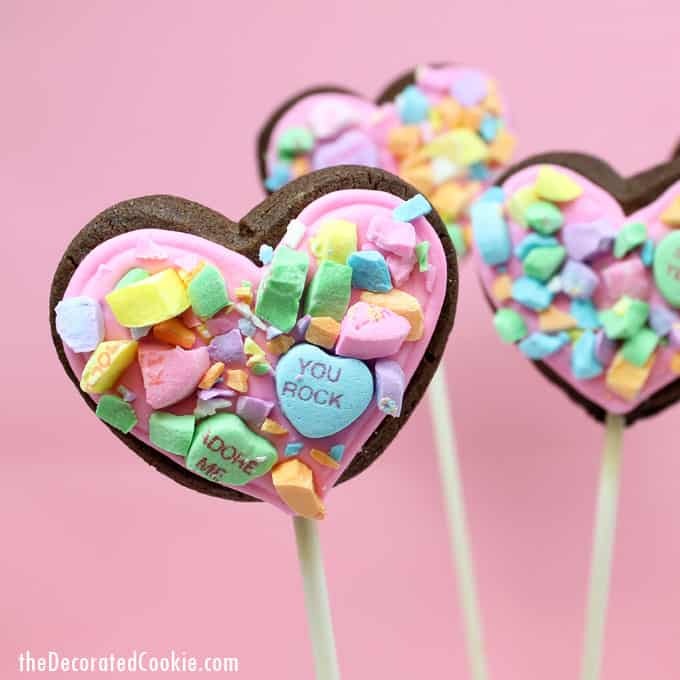 Be sure to reserve some whole hearts for decorating! Pipe an outline on the heart cookies and let set about 15 minutes. 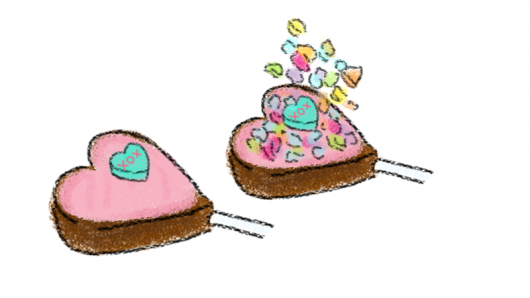 Pipe back and forth to completely fill the heart with icing. Place a whole conversation heart on the icing, then take a handful of crushed hearts and sprinkle over the heart to completely cover. Turn over the cookie to remove excess and let the cookies dry well, preferably overnight.